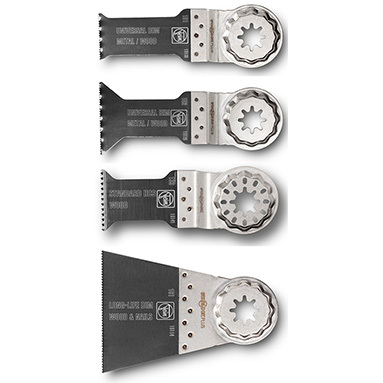 FEIN MultiMaster E-Cut Blade Combination Pack - Starlock blades. Fein blades supplied individually (not in blister pack). FEIN Starlock / Starlock Plus fitting. 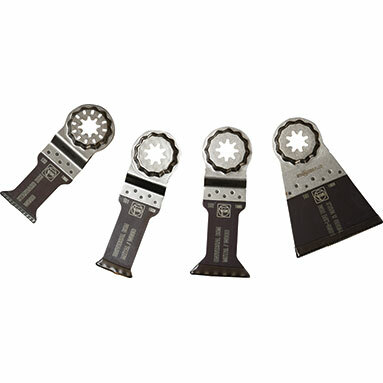 The Starlock interface has a 3 dimensional fitting, which allows for quicker and easier blade changes. The future proof 'cake tin' pattern is designed to give a more secure connection, giving maximum stability, precision and performance.